Planning without researching is just guessing. Strategizing your marketing spend this year without taking a look at what marketing research says is like playing darts with your marketing budget. Smart marketers research their industry, competitors, and customers so they best understand how to reach and sell to them. 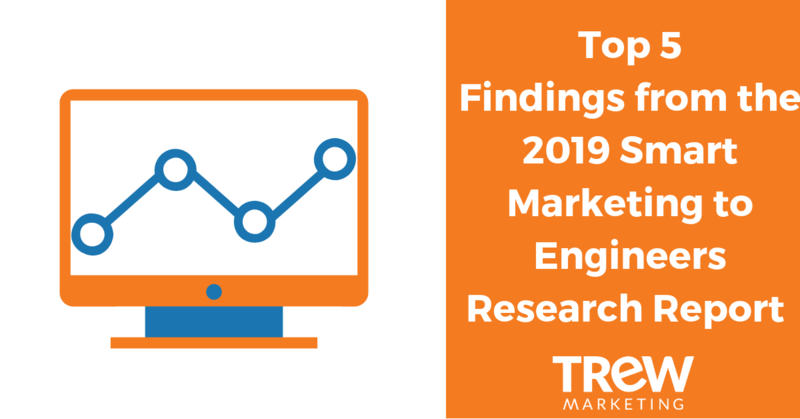 To help B2B marketers in technical and industrial segments, TREW Marketing partnered with IEEE GlobalSpec to learn how engineers evaluate a prospective vendor. We surveyed engineers in the U.S. and Europe to learn what types of content they prefer, how much information they require during a purchasing evaluation, and how they use different content to aid them in their selection of a product or service provider. What content appeals most to millennial engineers, and how does this compare to other age groups? What percentage of the engineer’s buying process happens online, and how does this vary by regions around the world? What are engineers' most preferred content sources? What fields are engineers are most likely to complete on a web form? How many interactions do engineers have with a company before they are ready to engage directly with sales?